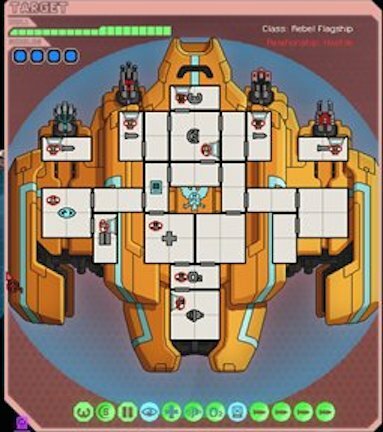 So there’s a lot of exciting (but mostly pending) things going on with my job and with a new commission that i recently picked up, so naturally it felt like a good time to write about something completely unrelated to any of that – this past weekend i finally beat FTL: Advanced Edition on Hard mode. When Advanced Edition was released, i played it off and on (don’t look at me like that. i did not become obsessed with the game again. honest. really. ), getting myself familiar with the new Lanius race, the new abilities to hack and mind control, and some of the new weapons and drones in the game. As i refamiliarized myself with the game from when i first played it a year ago and started to beat Normal Mode more consistently with the AE content, i thrust myself into Hard mode to see if i could beat it. And yeah. Hard mode is, well, hard. You start off with 0 scrap vs 10 scrap and scrap rewards in general are lower. 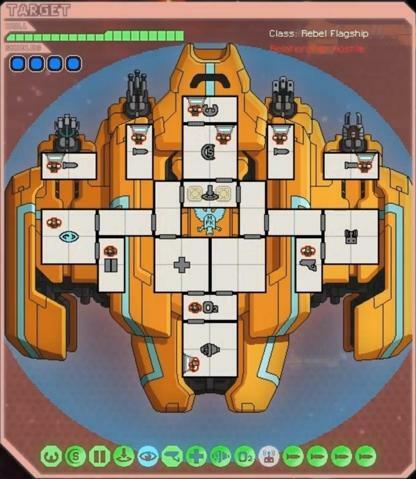 Enemies ships are much tougher, particularly in that there are more enemies with missile weapons and more enemies that will try to escape if their ship health reaches a critical point. 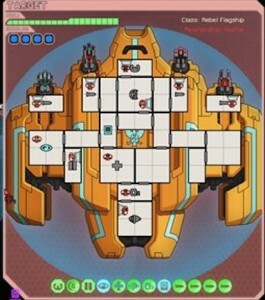 The Rebel Flagship’s missile weapon room and laser weapon room are now connected to the main body of the ship making it next to impossible to put those weapons out of commission. I experimented with a few ships that I thought would have potential to beat the game, failing pretty spectacularly most of the time but learning from all of those failures (ahem… not obsessed). Eventually I came upon what I thought was the most likely strategy for success and started running that strategy over and over until the right circumstances from the game’s semi-randomness made me well-equipped enough to succeed. 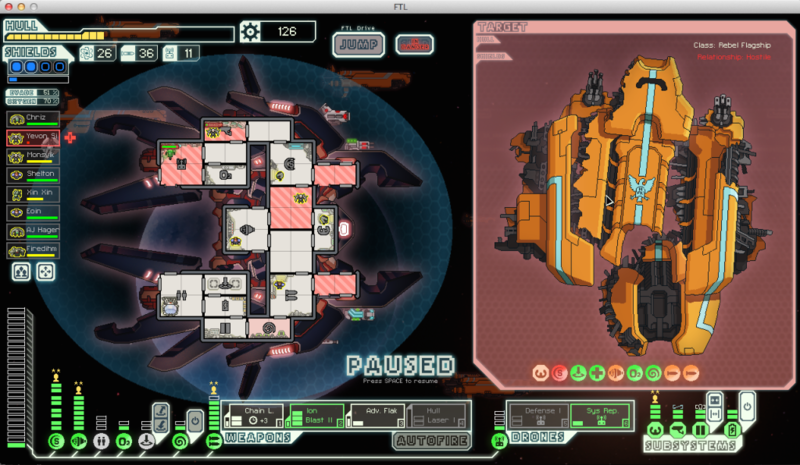 Honestly, i was pretty surprised i was able to pull it off because I never came upon a shop that offered me a Defense II, so my only defense against missiles was Defense I – thankfully my high evasion and the occasional blast into that missile chamber helped me stay alive long enough to employ my main strategy – and also thankfully, the Flagship’s first stage hacking drone decided to hack my backup battery which had minimal impact on my ability to attack or defend. Let’s start with the Ship Selection and General Strategy.